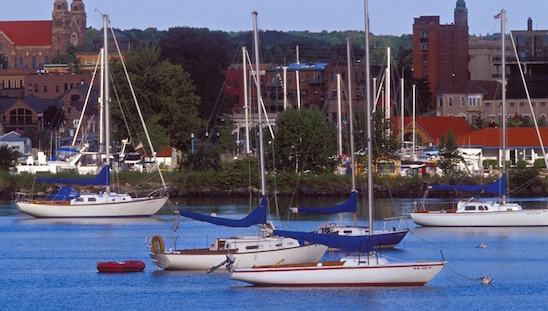 Furthering Great Lakes Protection, Restoration and Pollution Prevention! Hire a Crew Now! Seasonally the SWP has highly trained women and men working on projects to benefit Lake Superior, Lake Michigan and Lake Huron! Projects include stream restoration, dune restoration, coastal wetland restoration, trail building, wildlife habitat restoration, tree planting, native plant restoration, invasive plant removal, community projects and more! Contact the SWP to hire a crew for a project. Now accepting applications for the GLCC 2019 season! If you or someone you know has land they want to see forever protected, please contact our office and a Land Protection Specialist can help you. What is a Conservation Easement? A conservation easement (sometimes also referred to as a conservation restriction) is a voluntary, legal agreement between a landowner and a land trust, such as the Superior Watershed Partnership, or government agency that permanently limits uses of the land in order to protect its conservation values. It allows you to continue to own and use your land and to sell it or pass it on to heirs. 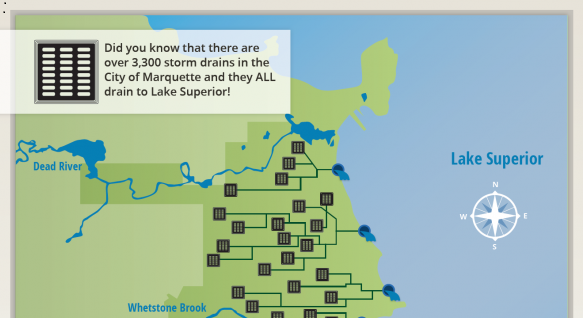 Why stormwater management matters: Runoff of stormwater—rain that runs off roads and rooftops and collects pollutants along the way—is a growing cause of water pollution across the Great Lakes basin. Excessive runoff is a growing cause of flooding and associated loss of property and economic activity. Green infrastructure (GI) reduces runoff and improves water quality by trapping pollutants before they get into the streams and rivers that drain into the Great Lakes. GI includes features like rain gardens, bioswales, green roofs, and street trees that filter and hold or slowly release stormwater. 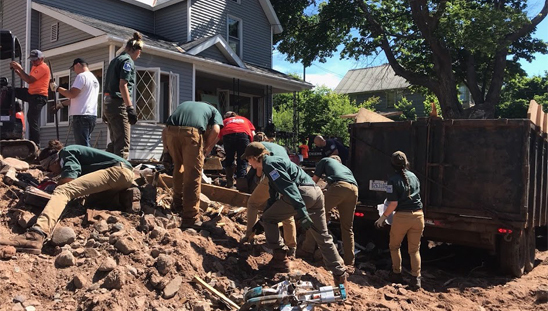 Great Lakes Conservation Corps (GLCC) crews were on-site assisting with disaster relief within 24 hours of the 1,000 year storm event and flooding that ravaged the Houghton area on June 17th. At the request of regional emergency managers the GLCC crews coordinated the Volunteer Reception Center (VRC) and material/supply donation center in addition to helping homeowners with disaster relief. GLCC crews worked 7 days a week providing the consistency and hands-on assistance that is crucial in the aftermath of a disaster of this scale. The GLCC assisted a total of 1,861 relief hours after the Father's Day Flood Event. 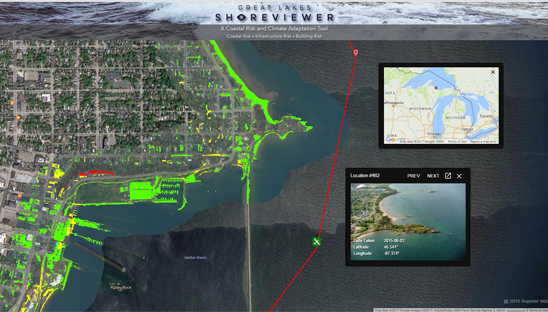 Report coastal erosion and property damage using the SWP Great Lakes Coastal Reporting Tool. With current high lake levels and recent record waves (28.8 feet) there has been a dramatic increase in both urban and rural coastal impacts. The Coastal Reporting Tool is easy to use: simply zoom in to the coastal site, double click to place a locator pin, upload a photo and type in any additional information about the site (directions to site, nearest street address, dimensions of site if applicable, name, phone number, etc.). 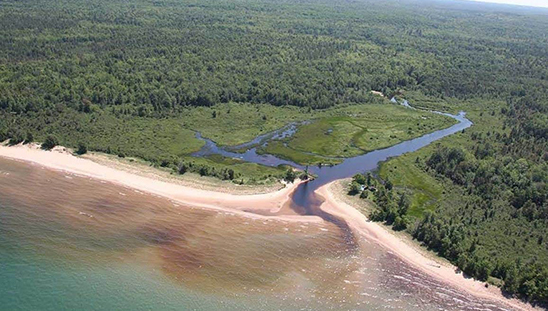 The Superior Watershed Partnership, along with other partners, will use the inventory to prioritize sites and seek resources to remediate coastal impacts. For anyone who loves Lake Superior! Visitors, locals, businesses….anyone! 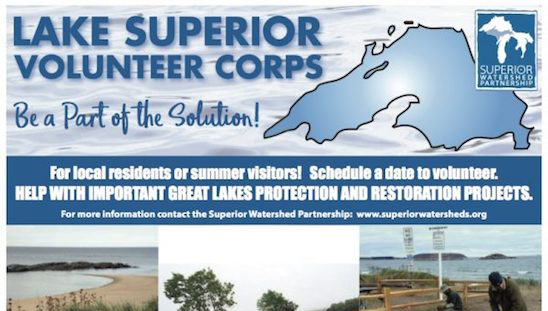 Join The Superior Watershed Partnership on Fridays during the summer of 2018 for the Lake Superior Volunteer Corps (LSVC)! Volunteers work alongside members of the Great Lakes Conservation Corps or the Climate Conservation Corps assisting with a wide variety of conservation projects including but not limited to; dune restoration, trail building, tree planting, erosion control, coastal wetland restoration, climate adaptation, assisting with small green infrastructure projects and more. If you are interested in signing up for a volunteer work day, please contact emily@superiorwatersheds.org. From Green Infrastructure to Habitat Restoration The Superior Watershed Partnership implements a wide variety of large scale Great Lakes protection and restoration projects including but not limited to; green infrastructure projects that improve stormwater quality entering Lake Superior (one project saw a 70% decrease in harmful bacteria attributed to beach closures), coastal dune restoration, coastal wetland restoration, important habitat restoration projects for prioritized fish species, the threatened monarch butterfly and the endangered Piping Plover. The Lake Superior coastline is rugged, wild, and notorious for shipwrecks that attest to the combined dangers of water, wind, and waves. Until recently, the 185-mile (300-km) section of shoreline from the Huron Islands to Whitefish Point was without any modern offshore equipment to provide critical coastal storm data such as wave height and water temperature. 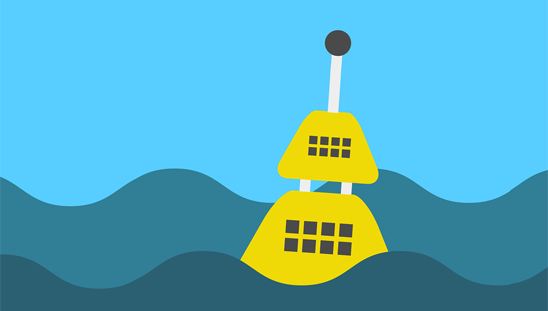 In 2014, Northern Michigan University – in cooperation with LimnoTech and the Superior Watershed Partnership – received funding from the Great Lakes Observing System to deploy a number of coastal storm buoys along the southeastern shoreline of Lake Superior. 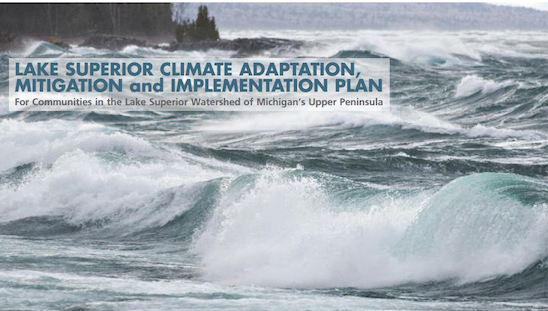 NOAA Includes SWP Great Lakes Shoreviewer in US Climate Tool Kit The SWP is a regional leader in developing easy-to-use tools to address Great Lakes issues. The National Oceanic and Atmospheric Administration (NOAA) recently determined that the SWP Great Lakes Shoreviewer was an important tool for assessing coastal risks on Lake Superior, Lake Michigan and Lake Huron so they included it in the US Climate Tool Kit. 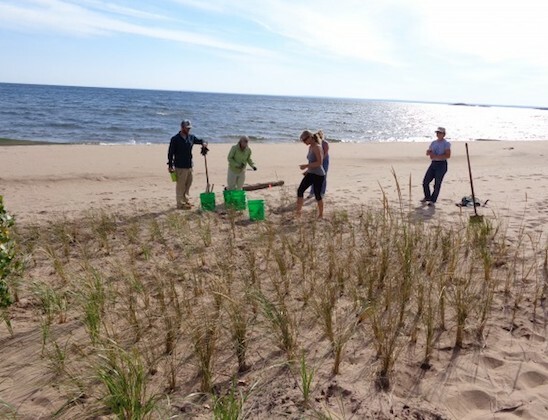 The SWP over the years has assisted UP communities with a variety of conservation-based, water quality protection projects including storm water management, dune restoration, beach monitoring, and community pollution prevention. 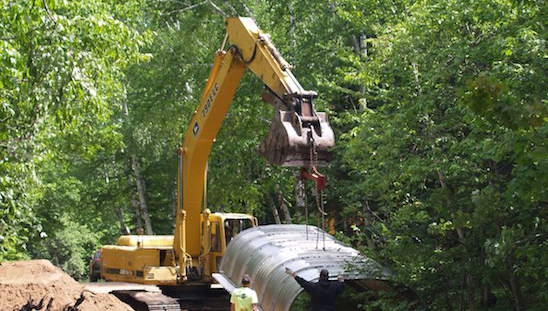 Each year SWP projects provide a significant economic benefit for communities across the Upper Peninsula. 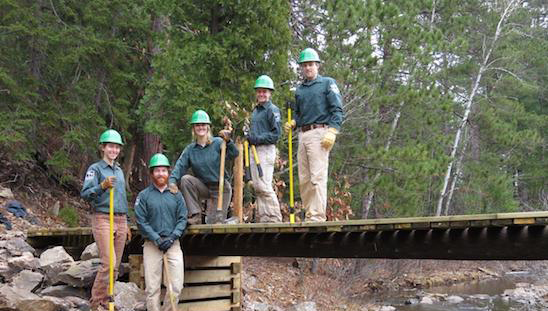 The SWP staff includes ten year-round employees plus over forty seasonal field staff. 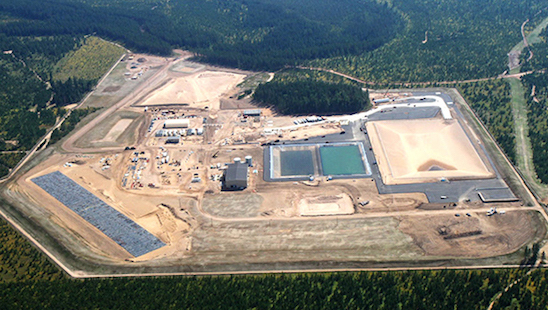 In addition, many of the large scale SWP field projects require engineering, equipment contractors, materials and labor. The SWP conducts independent environmental monitoring at the mine, mill and along the approved transportation route. Verification monitoring: SWP conducts monitoring to verify the environmental monitoring done by Eagle Mine. SWP takes duplicate samples that are sent to a separate EPA-approved laboratory to verify results. Additional monitoring: This is monitoring done by SWP over and above the monitoring that Eagle Mine does under its permits. SWP will undertake additional monitoring if it believes it is needed to build a complete picture of Eagle Mine’s environmental impacts. 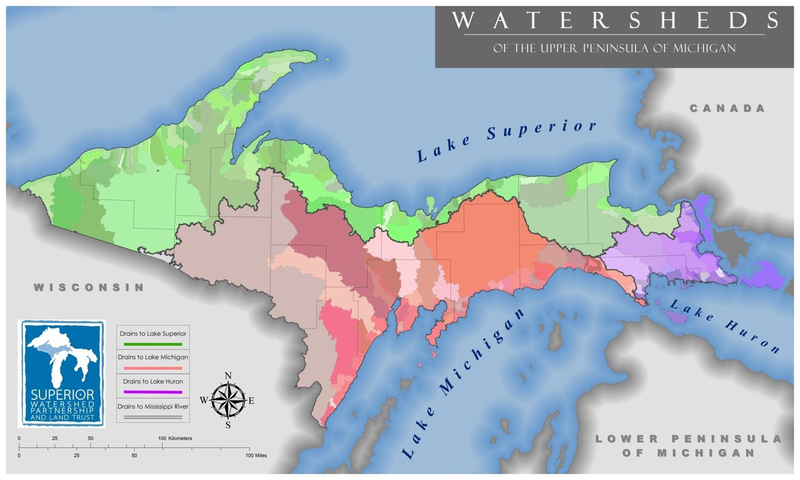 The Partnering for Watershed Restoration (PWR) group is a collaborative effort of Federal, Tribal, State and local agencies, academic institutions, non-profits, citizen groups and industry to accelerate watershed restoration through sharing information and pursuing projects of shared interest throughout the central and western Upper Peninsula. 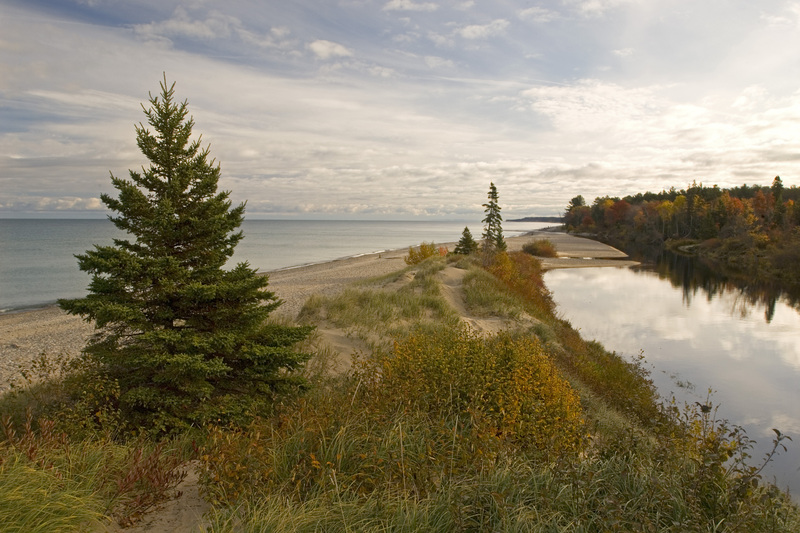 A steering committee for PWR was formed in April, 2013, and included the Superior Watershed Partnership, the US Forest Service, The Trust for Public Land, the US Fish and Wildlife Service, and the Keweenaw Bay Indian Community. The initial goal of the committee was to plan and facilitate a one-time workshop to discuss watershed threats. Support the SWP by making a tax deductible donation in the amount of your choice. 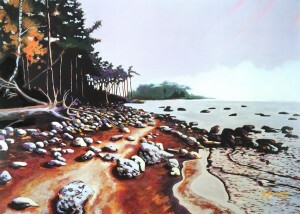 For each $500 donation to the SWP, receive a limited edition print of the Little Presque Isle series by Upper Peninsula artist Patrick St. Germaine. Each of these three prints shows a different aspect of the beloved Little Presque Isle and Lake Superior.